Matt Tolfreyʼs Leftroom continues its run of form with ʻFreeze Trackʼ from Sam Russo, a four track EP featuring a rare remix from Jay Hazeʼs Fuckpony project. 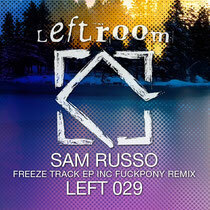 While Leftroom ended 2011 with the Beatport No.1 Maceo Plex remix of Laura Jones, rounding off an impressive run of releases that caught the ear of just about every DJ ʻnameʼ there is, Sam Russo has been no slouch either. 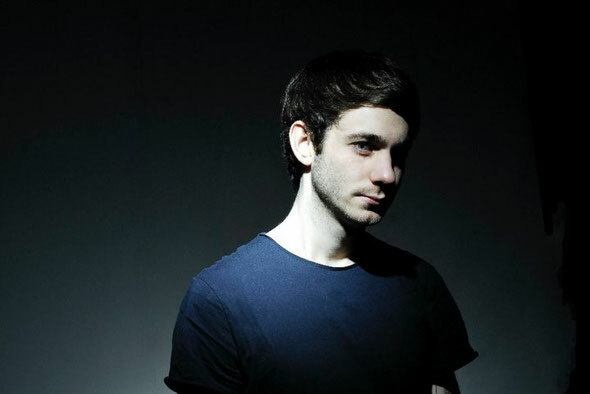 Cementing his reputation as an accomplished and open-minded DJ, Russo warmed up at Londonʼs Fabric more than any other non-resident in 2011 as well as playing his brand of house across Europe. As a producer, he continues to build on previous output for FullBarr, Fear of Flying and Leftroom with ease and his forthcoming imprint and collaborations with Craig Richards will undoubtedly create a stir. Half broken beat and half house, ʻFreeze Trackʼ sees Russo play with the blending of sounds in the same way as his DJing allows. Using a staccato bass and rock solid drums with just a handful of other sounds to create a moody but infectious groove, the London-based producer turns in a track that displays his deft ability to deliver contrasting rhythms and vibes with ease. The eerie, skipping groove of ʻCold Handsʼ follows with an uncluttered, warm yet disparate combination of leads that provide plenty of textures and tones to draw the listener in. ʻBus Fourʼ closes the EP in original and Fuckpony Remix for form. Russoʼs original, a titular insight into his love of production technology, is perhaps the most straightforward house cut from him on the ʻFreeze TrackʼEP but is no less engaging. Drawing on his love of deep house and garage, itʼs a smooth ride into robust grooves, dubbed vocals and shimmering chords. Jay Haze, friend of Leftroom, philanthropist and DJ/producer, dons his Fuckpony cap and twists ʻBus Fourʼ into a dense, fluid house track complete with a brilliantly executed tempo hike in the intro that will no doubt be used to full effect by the more creative DJs out there. First of all I would like to say great blog! I had a quick question in which I'd like to ask if you don't mind. I was interested to find out how you center yourself and clear your head before writing. I've had trouble clearing my thoughts in getting my thoughts out. I truly do enjoy writing but it just seems like the first 10 to 15 minutes are generally wasted simply just trying to figure out how to begin. Any ideas or tips? Thank you! Hi to all, how is everything, I think every one is getting more from this web page, and your views are pleasant in favor of new users. I think the admin of this web site is truly working hard in favor of his site, as here every data is quality based stuff.